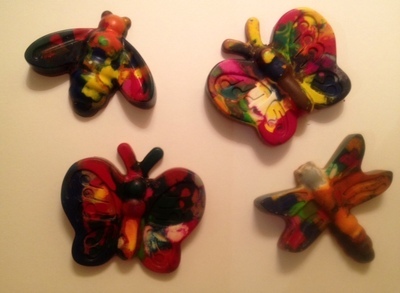 Here's a great way to recycle your old crayon stubs. 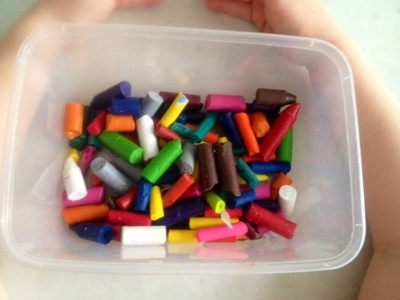 Making your own crazy crayons is easy and great fun. 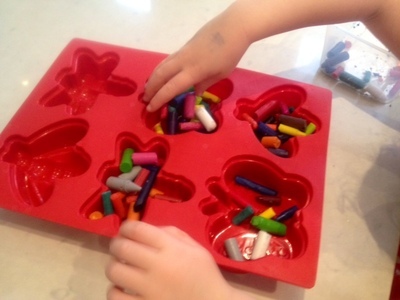 The finished crayons can be used for drawing. 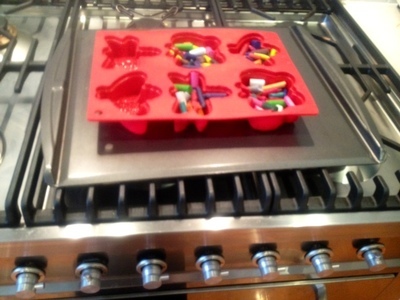 Children will need help from an adult for this project as it involves an oven and hot wax. 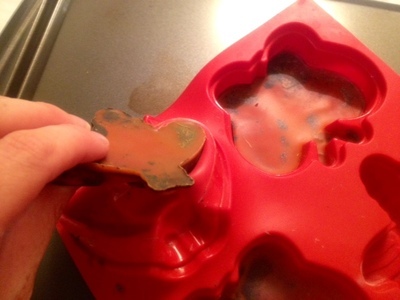 Place the silicon mold onto a tray and put into a hot oven approx 200 degrees. 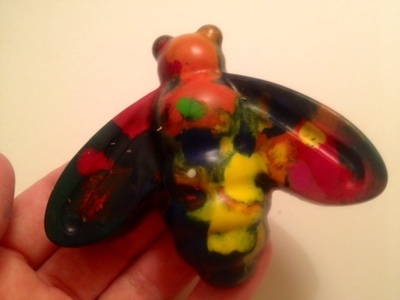 Allow the wax to completely cool then remove the crayons from the mold. These would make great cheap items to add into a birthday party bag and you could pick a shape to go with your party theme. 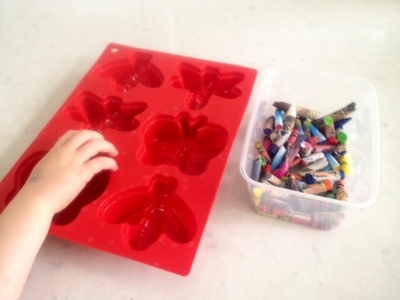 These are amazing and what a clever idea!